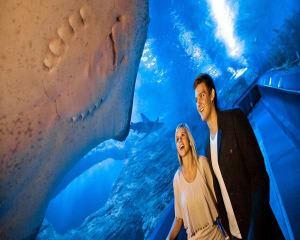 Aquarium Experiences Australia Wide At Adrenaline! 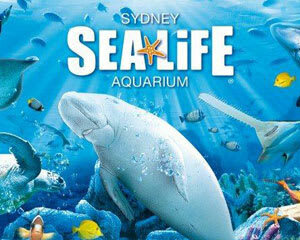 If you’re looking for Australia’s best zoos and aquariums, we’ve a huge selection to choose from. From a close up look at the miracle of the underwater world at an aquarium, to personal introductions to your favourite creatures at zoos and wildlife sanctuaries. Use the filters to narrow your search by state or price. 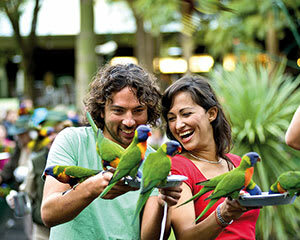 Adrenaline offers a wide range of spectacular activities at Australia’s premium aquariums, zoos and wildlife sanctuaries. You’ll be amazed at just how adventurous your animal encounters can be. For example, at some aquariums, the bucket list experience of swimming with sharks is your personal reward for taking the plunge below the surface. And if staying on dry land is more your thing, how about a meet and greet with an animal? 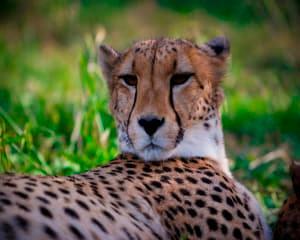 Which is the best aquarium and zoo experience available on Adrenaline? Australia’s aquariums, zoos and wildlife sanctuaries are world class and offer the rare chance to view domestic and international animal and marine life species. Adrenaline offers unique packages to swim, snorkel, meet, greet and marvel at these awe-inspiring sea creatures. 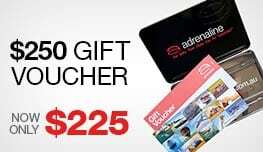 Seeing is believing when you book the Cairns Aquarium Gold Pass at Adrenaline online. As you take a personally guided tour through the aquarium and also behind the scenes, to gain the inner marine workings first hand, you’ll also receive a souvenir photo to take home and treasure. Located in the heart of Cairns and open every day of the year, the Cairns Aquarium showcases reef and rainforest life at its most rarefied. This world-class facility features Australia’s only 10-metre-deep reef tank, the 360-degree Oceanarium with its 20-metre tunnel, Touch ’n’ Talk animal encounters and fascinating daily presentations. Your Cairns Aquarium Gold Pass also includes all-day general admission for you to soak up the sights of 15,000 sea creatures from 10 World Heritage-listed rainforest and reef habitats in more than 71 exhibits on show. Or how about a visit to Adelaide Zoo? Its Big Cat Interactive Experience gives you the opportunity to get up close and hand feed African Lions and Sumatran Tigers. The knowledgeable keepers will tell you all kinds of fascinating facts about these majestic creatures in a day you’re sure to never forget. 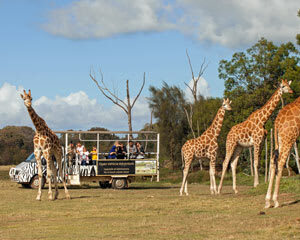 You can also meet with a koala, the primates and enjoy a hippo encounter. The zoo is also home to the only pandas in the southern hemisphere and around 250 creatures in all. 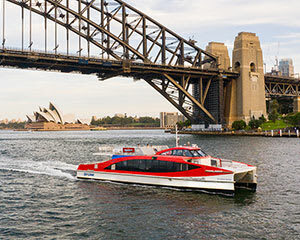 And no visit to Sydney would be complete without a visit to at least one of Taronga Zoo, the SEA LIFE Aquarium or WILD LIFE Sydney, which attract visitors from across the country (and the globe), throughout the year. Wherever you are in Australia, you’ll be amazed at the opportunities to see wild life. What makes the aquarium and zoo experience special? An aquarium experience offers the chance to take in Mother Nature at her most miraculous. The truly beautiful meets the disarmingly fearsome, in the depth and range of sea creatures and breathtaking underwater landscapes. 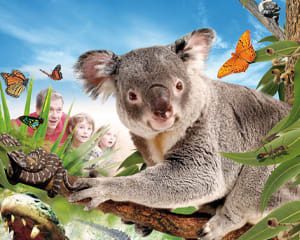 Australia’s zoos are no less impressive, with hundreds of native creatures, as well as those from across the world. Are aquarium and zoo experiences family friendly? 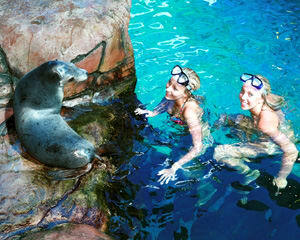 Adrenaline has tailored a range of aquarium and zoo packages across Australia. These group activities are some of the most family-friendly experiences around, with the chance to learn and be amazed all at once. From a budgetary perspective, Adrenaline also considers that family comes first, with our 5% price beat guarantee on all the 2500-plus land, air and water-based experiences that you can purchase online. 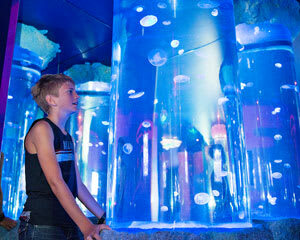 Children gain aquarium and zoo entry at reduced rates. What should I know before my zoo or aquarium experience? The beauty of zoo and aquarium experiences is that all kinds of people can enjoy them. There are no age or fitness requirements. 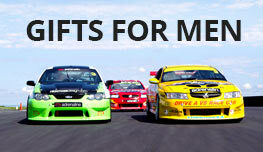 They’re suitable for anyone with a keen interest in the awe-inspiring spectacle of the marine scene or animal world. Simply wear casual, weather-suitable clothing and comfortable footwear and you’ll likely be ready. Don’t forget to bring your Adrenaline booking confirmation and your camera to capture these magical moments forever.